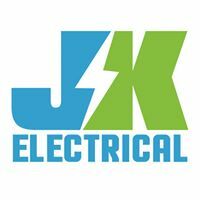 JK Electric is an electrical contractor serving Denver, Arvada, Thornton, Highlands Ranch, Boulder and surrounding communities. We provide both residential and commercial electrical services, including service upgrades, lighting system installations, rewiring, and more. Maintaining high standards of quality and professionalism, JK Electric treats clients with integrity, keeping their best interests in mind on every project. Electricians | Denver We have earned a reputation throughout the greater Denver area for performing work efficiently and on-schedule, paying careful attention to detail and making sure the job is done right the first time. Our past clients are consistently satisfied with our work and often refer us to others. Electrical Installations | Denver JK Electric is a fully licensed contractor and is HUBZone certified. To find out more about our services, please call (303) 775-0832 today, or submit a short form, and we will respond promptly.